The entire school volunteered to collect school supplies to donate to YNOTFORTOTS so we can distribute them to needy schools and families in Vancouver! A group of grade 11 students are also working hard to help support YNOTFORTOTS’ special project schools. Until May 2017, they are collecting item donations via donation drives for cooking equipment, art supplies, and sporting goods for Edmonds Community School and sporting goods for Harry Hooge Elementary school. We thank them for their continued support! The entire grade 2 class fundraised for YNOTFORTOTS in May and raised over $215 to help other students their age! 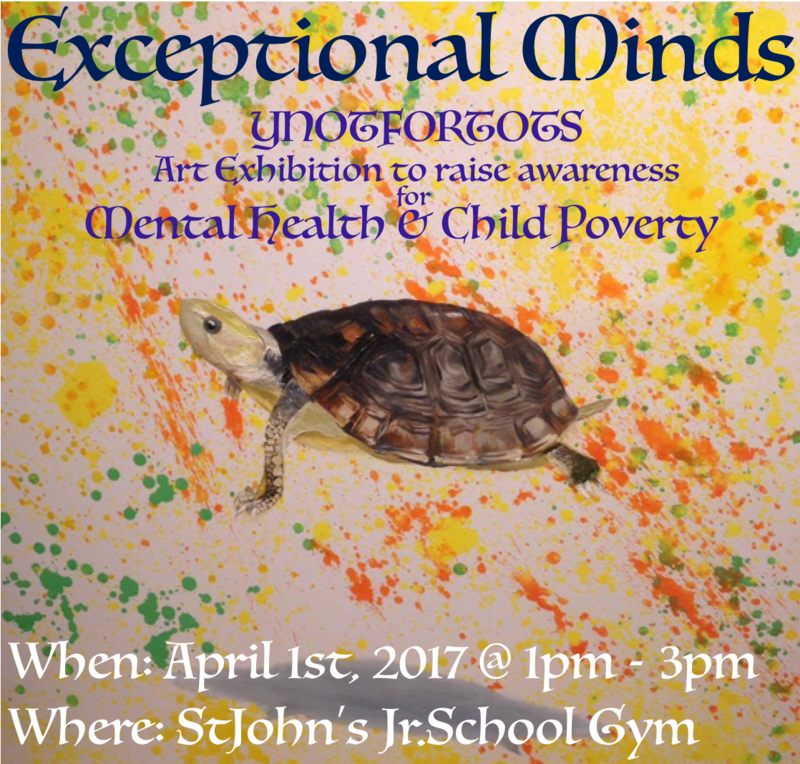 Another group of grade 11 students worked hard to organize an incredible art auction called Exceptional Minds. High school students from the IB Art classes at St. John’s School and elementary school students at John Henderson Elementary created the masterpieces to auction. These pieces included stories, canvas paintings, and some photography. All proceeds of the auction sales went straight to helping YNOTFORTOTS’ special project schools.